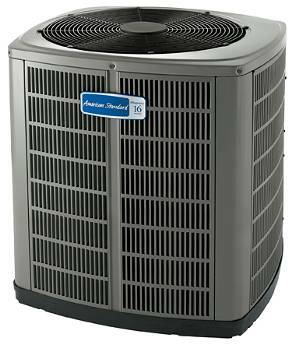 American Standard is one of the top brands of AC and heat pump in the industry. They are workhorse units that offer good efficiency and reliability. If you need American Standard air conditioner repair in Scottsdale, Fountain Hills, Phoenix or nearby cities, give us a call. Our highly-trained repair professionals have the experience to get your air conditioner or heat pump back in service quickly and at an affordable price. We repair all brands too, not just American Standard. Other AC and heat pump brands we service include Trane, Rheem, Ruud, Carrier, Bryant, York, Coleman, Lennox, Heil and more. We offer complete repair services including refrigerant charges. For all repairs, we provide a detailed estimate for you to approve before we start. We’ll answer your questions and even help you decide whether to repair or replace the air conditioner or heat pump. Our goal is to help you make a cost-effective choice that is right for you. We repair window air conditioners, portable ACs and all major appliances. We can fix any brand or model too, so call today and we’ll be on the way with the top AC and appliance repair in Scottsdale!